Eye infections in cats can be uncomfortable and may be painful. If you’re a cat owner, don’t ignore the signs! 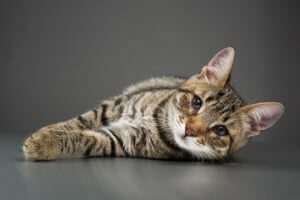 Since bacterial and viral eye infections are quite common in felines, being able to identify the signs and symptoms of a cat eye infection is essential. Getting your cat to your family veterinarian as soon as possible after discovering an eye infection is key to a quick recovery. What Causes Feline Eye Infections? There are several places to look when searching for the cause of your cat’s eye infection. Eye infections are extremely contagious. Cats that are exposed to other infected cats run the risk of contracting an infection themselves. Young cats have weaker immune systems and may come down with an infection if kept in close quarters with an infected cat. Autoimmune disease, cancer, eye trauma and feline leukemia may also be to blame for an infection. Without a definite diagnosis, your kitty cannot be treated properly. An accurate diagnosis can only be made by an experienced veterinarian. Your veterinarian will begin by performing a comprehensive evaluation of the cat’s eyes to check for key signs and symptoms of infection or any indication of trauma. A sample of discharge or infected skin cells may be taken in order to further investigate the root cause of the problem. Blood tests and other assessments may be necessary depending on each unique case. 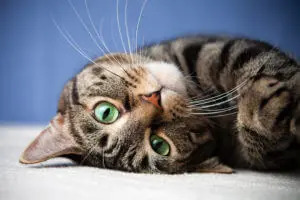 Although you may have to learn how to hold your feline friend in order to administer the medication, ophthalmic antibiotic drops and gels are commonly used to treat bacterial eye infections in cats. Your veterinarian can show you how to do this. Oral treatments are often unnecessary unless there is a systemic infection involved. Viral infections require the consistent use of an anti-viral medication. However, some vets will suggest letting a viral infection run its course. An antibiotic may be prescribed, as some viral infections are found alongside bacterial eye infections. Prognosis: Will Your Feline Recover? The common feline eye infection has a good prognosis. In most cases, your cat will be back to chasing toys in no time. The antibiotics used to treat bacterial eye infections are extremely effective and can clear up the infection quickly in most cases. If an underlying health problem is causing the eye infection, then it is vital to treat the initial condition. Some conditions such as glaucoma and cancer may lead to blindness. The long-term prognosis in each case depends on the severity of the condition. If your cat looks at you with red, watery and scratchy eyes, it’s important to call your veterinarian right away. Never treat your cat with leftover antibiotics from a previous infection, as it may exacerbate the situation. Several serious conditions, including anatomic defects, foreign bodies and glaucoma, can easily be mistaken for an eye infection. 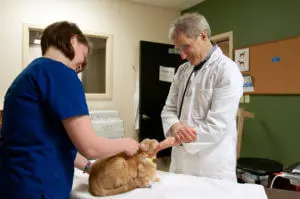 Call your veterinarian to get your feline the right diagnosis and the best treatment possible.